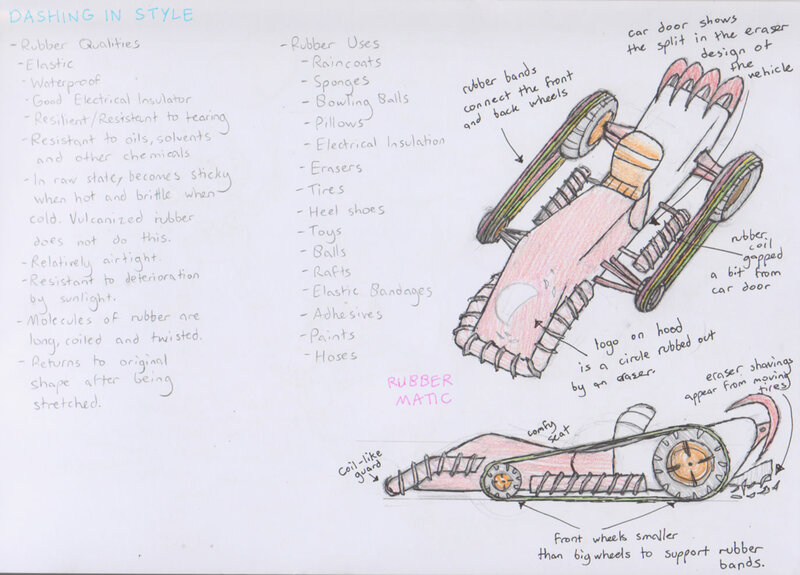 Designing a kart where its main trait was being made entirely out of rubber was not an easy task. 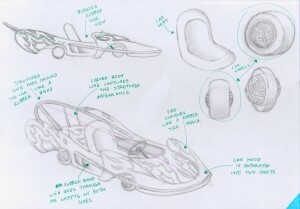 The only thing made out of rubber that is closest fitting for a design of akart are tires. But I really needed to stretch my imagination further than that to make it look interesting. 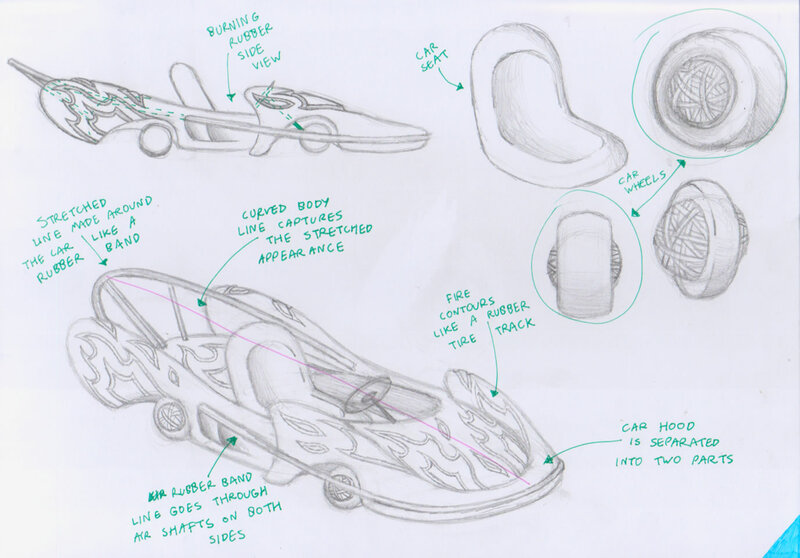 So instead of basing the vehicle’s design on a certain object, I based it off of one of rubber’s characteristics. Namely, its elasticity. Some rubber materials are known for being stretchy or at least bendy, so that’s what the kart’s design was based around. I made it look constantly stretched, as if its many struggles against high wind velocities formed its dynamic shape. I’m going with that angle for its backstory too. For good measure, I added a giant rubber band that forms around the kart. Just to add to the stretchy quality of its aesthetic. However, I also needed a theme to it to decide its colour palette. Fortunately, that part was easy enough. 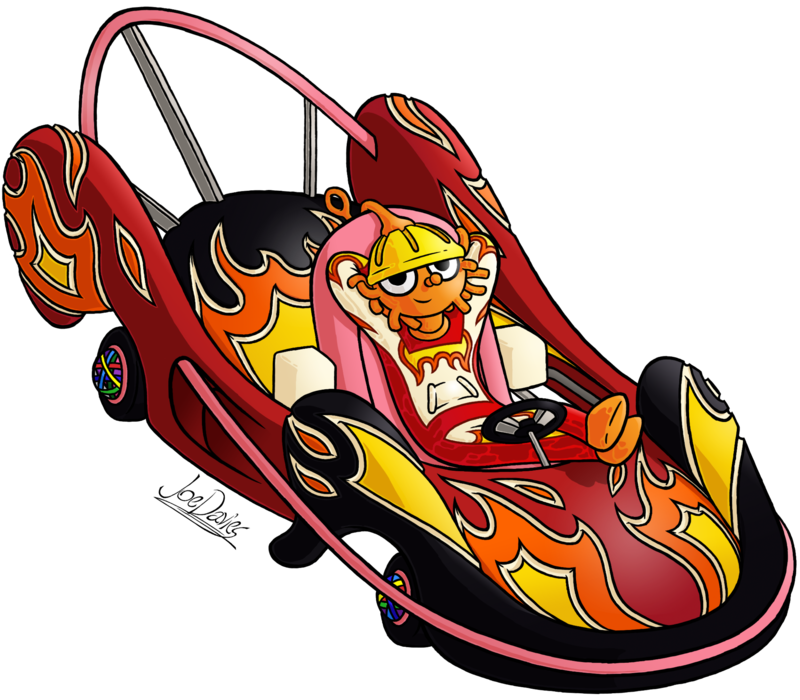 The kart’s name was incredibly easy to decide – Burning Rubber – a common phrase for cars going at high speeds, and one that is very fitting for the feel of this racing vehicle. After coming up with that name, I then put 2 and 2 together, and gave the kart a fire motif to fit its appropriate title. Thus, the colour scheme fell into place as well. I’m very surprised I managed to pull a design like this one off. 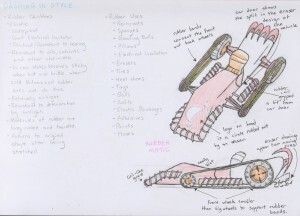 And out of the karts I designed for this game, this one is definitely my favourite. 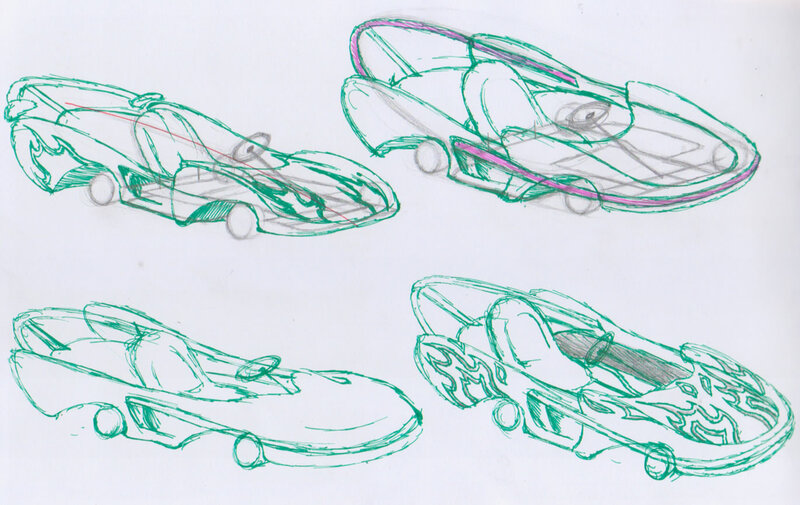 Unfortunately, it was never modelled into the game as there was no time to do so. How sad.